because i'm too preoccupied with many things now and the mood for writing about siem reap hasn't caught up with me, i'm going to write down instead the prequel of my gardens by the bay sashay. siem reap would have to move back by a little bit because my favorite island in the sun is just around the corner, beaming with energy and fun! 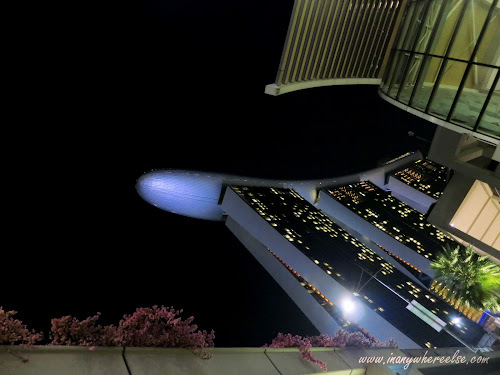 anyway, before we hit the gardens by the bay, we went to marina bay sands to grab our dinner. oh, we did not head to the A-list restaurants there but unbelievably, there is a regular food court in the hotel's basement. not surprisingly though, the area was packed with people while the rest of the mbs shoppes were only dotted with the lingering few who were shopping their hearts out. the food court has actually many food stalls originating from some of the countries in asia. since it had been ages from the last time i had a taste of something familiar, i ordered this rice meal set from gerry's grill, a restaurant from the philippines. 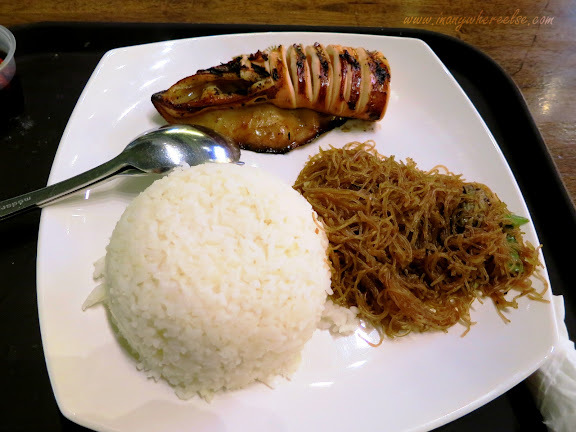 it cost me 8.90SGD which is roughly 300PHP and i could get a better meal with that amount back home! but i'm not home so i couldn't complain. my only consolation that time was the grilled squid. freedom, my friend. yes, she's really a person and i don't mean it figuratively. she envied the people sitting next to us who were having their fun time with their colorful kachang so, she ordered one for herself. 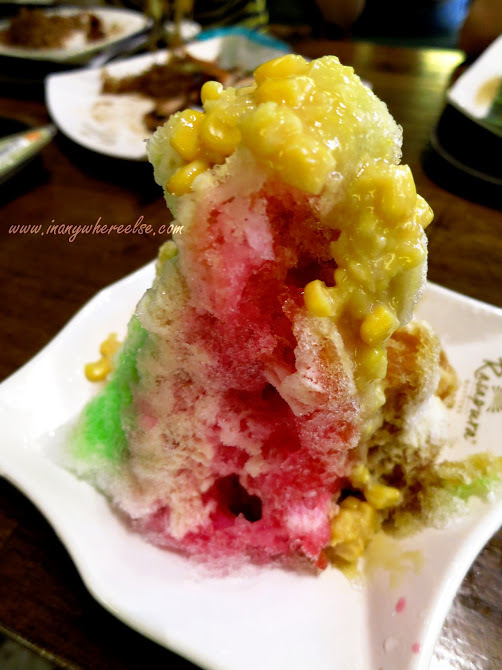 crushed ice is such a famous dessert that it comes in varying presentations in different places! the meal set did not include a drink which is normal, so we bought our drinks cheaply in the next door guardian store. haha and these pictures explain why we were so late at the gardens. 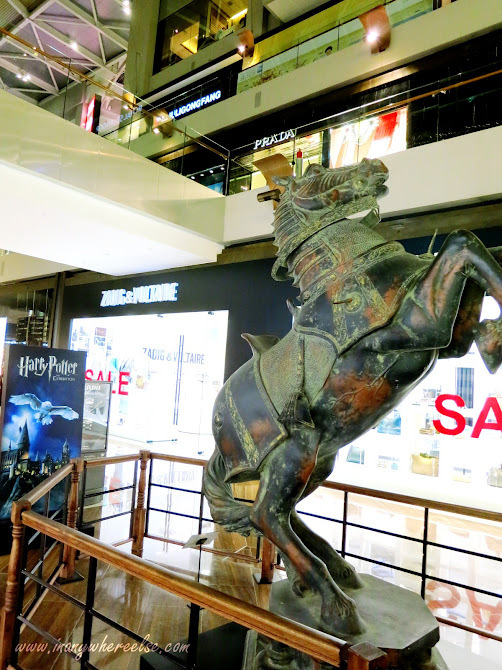 starting from the frantic horse, we found this horse statue inside mbs and written below the statue, it was said to be the giant knight that ron from harry potter, used to play. i'm not sure if this is the actual thing in the movie. 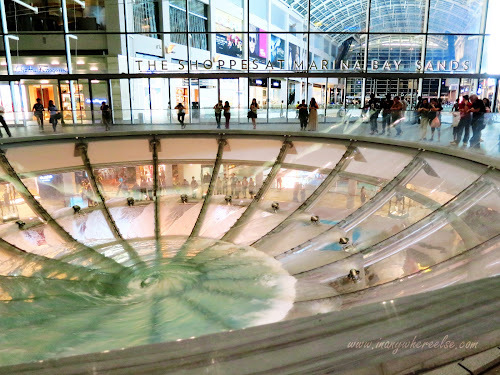 and then there's that giant whirlpool which probably would mean wealth is flowing towards the casino area for water signifies wealth for the chinese. but down below, the strong drop of the water in huge amounts were not that pleasing to see or even hear. 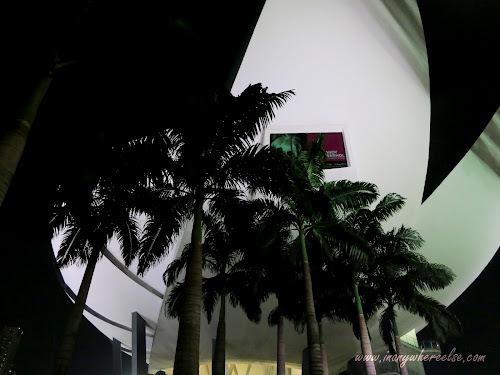 then there's that art science museum outside mbs that freedom considered to be a rip off for her 28SGD. i wouldn't know why because i've never been inside. next is the helix bridge which resembles a curved DNA and we were nearing the gardens at this point. 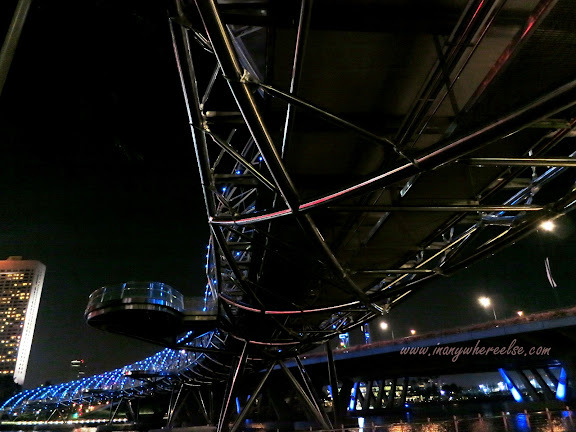 before we finally made our way, one look up towards the sky park! 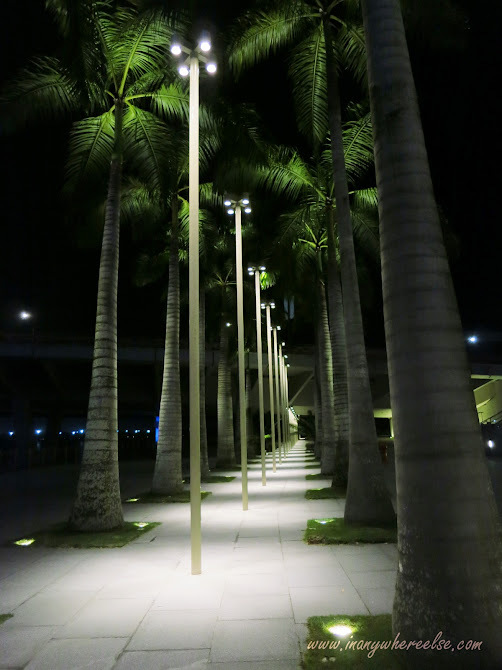 the end of these tall palm trees is the direction towards the gardens by the bay. we walked under the expressway as we were muttering under our breaths, how dark the area was! my last post was a spoiler and yes, we made it to the gardens safe and sound. All content and images are owned by the author. Please attribute and make the world a better place. Simple theme. Powered by Blogger.